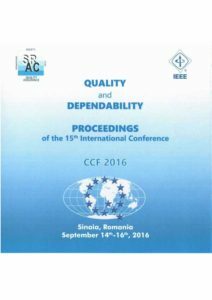 It is our pleasure to inform you about the 15th edition of the most important scientific reunion in the field that takes place in Romania – The International Conference “Quality and Dependability” CCF 2016. 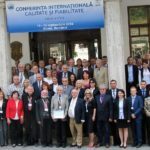 The event will be held – as periodicity already established – between the 14th – 16th of September 2016 in the beautiful landscape of the Romanian ‘pearl’ of the Carpathians, Sinaia resort, in the elegant halls of Hotel Palace. 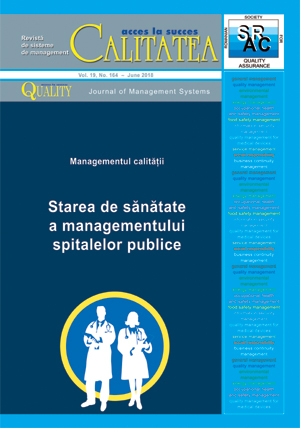 The conference is organized by the association Romanian Society for Quality Assurance, in cooperation with several national and international organizations in the field, under the scientific umbrella of the Institute of Electrical and Electronic Engineers – IEEE. Authors should take into account when preparing the CCF 2016 works that can be addressed all sides: engineering, socio-technical, managerial, economic, and legal and implications for quality and safety in operation (reliability, maintainability, availability, security, etc.). Consequently, the different points of view, including the polemic on engineering, management and quality certification and operational safety are welcome in the CCF in 2016, organizers taking into consideration the organization of more debates and “round tables” on some controversial aspects of this interdisciplinary field of great interest. The conference’s orienting topics – presented here – are aimed at reflecting progress, opportunities, and problems and challenges in the field of quality Romanian society and economy at the beginning of this millennium, the particular conditions of global economic crisis: how can quality contribute as the main factor of competitiveness – to overcoming the crisis, safeguarding the role of the management of a company in crisis conditions, etc. 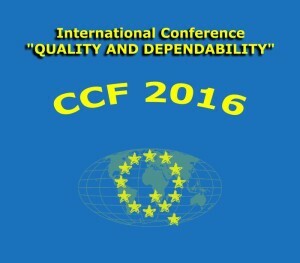 Through its international character and, consequently, with the participation of specialists known in the art (mainly from EU countries), CCF 2016 can be a real benchmarking and “moment of truth” for organizations and Romanian specialists: where we are in relation with other EU countries – in terms of research, education, management and legislation in the field of quality and reliability and we have to do in this direction. Prof. Dr. Vidosav D. Majstorovic from University of Belgrad. The 30th of June 2016 – Sending the papers in extenso via e-mail at CCF2016@srac.ro (General Chairman CCF2016 – dr. eng. 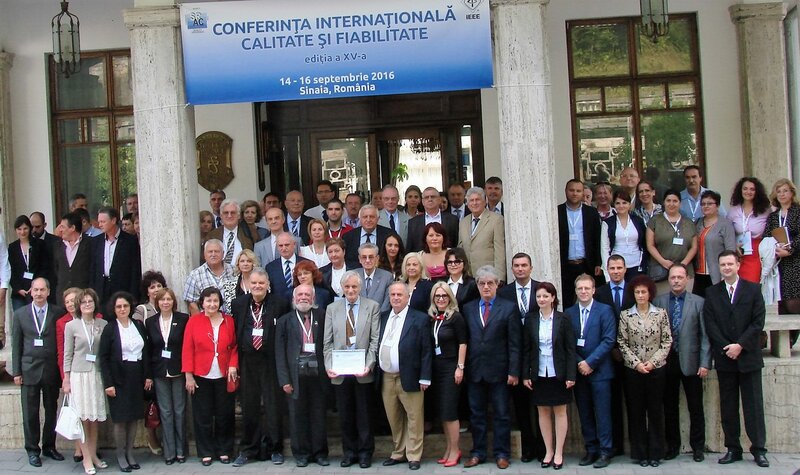 Dan G. Stoichitoiu) and bacivaro@euroqual.pub.ro (Chairman International Scientific Committee CCF 2016 – prof. univ. dr. eng. Ioan C. Bacivarov). The 15th of August 2016 – Sending the registration form for CCF 2016. The fees include coffee breaks, lunches in the 14th and 15th of September 2016, festive dinner in the 15th of September 2016 and the CDs with the CCF 2016 paper-works (no VAT included). Payment deadline: the 15th of August 2016. Booking shall be made directly at Palace Hotel, tel/fax: 0244.311542; e-mail: office@palacesinaia.ro, with the specification “For CCF 2016 Conference”. Experts choose the leader! 20 years of excellence, confidence and professionalism.